With the Bowl Championship Series games, and the Rose Bowl, moving to cable only, I have pondered what the cablization of television sports would mean to fans and viewers. I have written about the impact to people without cable, as well as what it might mean for the competitive landscape. And I have been holding off on this last part in the series because there has been something intangible that I could not quite put my finger on until recently. Namely that, with the exception of The Masters, watching major sporting events on ESPN does not feel "special." This intangible came into better focus over the past month or so with the NBA Playoffs, the U.S. Open Golf Championship, and the FIFA Confederations Cup. When broadcast networks ruled the sorts television landscape, sports properties were just one part of what the nnetworks offerred up to viewers. That meant that when the night (or afternoon) of an event arrived, you knew it was something special. Whether it was the voice of Pat Summerall or Keith Jackson, you knew it was going to be a special event. When Brent Musberger would open a telecast with "You are looking live at...", viewers were cued that something big was a going to happen. Viewers watched new graphics packages. They saw creative openings that drummed up excitement. The broadcast teams treated the events with some reverence, making them something other than the ordinary "game of the week." Viewers were going to be part of a nationally shared experience. But no more, as ESPN gobbles up sports properties around the globe. The addition of each sport dilutes the sport being acquired because there is nothing special about it anymore. It just becomes part of the Disney/ESPN cross marketing and brand it at any cost approach to what they air and how they air it. The NBA Finals were broadcast on ABC, but under the ESPN umbrella. So what did this mean? It meant that you had the ABC and ESPN logos plastered to the screen. 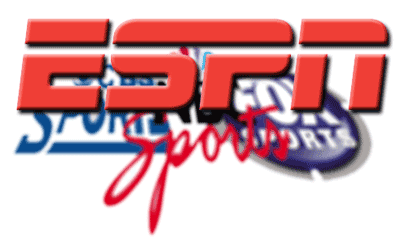 It meant that viewers were subjected to the scrolling scores and promos that ESPN has on all of their cable networks. It meant that if you wanted to distinguish the NBA Finals logo, you had to squint really hard. It may have delivered solid ratings for the network, but it just did not feel special. The U.S Open Golf Championship aired on ESPN. When Mike Tirico is calling the action as he did for the Masters, you felt that you were watching a special event. When Mike Tirico called the Ryder Cup, you really had no clue that the event was being produced by the same team that produces the unwatchable golf on NBC Sports. But as soon as you let Chris Berman loose, it feels silly and stupid. Do viewers tune into golf to hear Berman let loose with a Hanson brothers joke that most golf viewers would not get (and really made zero sense in context)? Not only did it not feel special, it made me pine for the hour when NBC Sports would take over for the day. And this past weekend we had the FIFA Confederations Cup from Johannesburg, South Africa. Would we get to feel the excitement and pageantry from people on the scene? No, because thye on-air talent was sitting in Bristol, CT. In a sense, they were just phoning it in. Never once was there a disclaimer during the game that they were NOT on site. Is this how a network treats "special" events? Thankfully, ESPN will be sending talent on-site for the 2010 World Cup. If a viewer is going to take a block of time away to watch an event, then ESPN should do everything in its power to make the event special, nit just present it as one of their many properties. If they don't, the governing bodies of the sports in questions should mandate standards in their contracts with ESPN. Think it cannot be done? Then how do the the powers of Augusta National pull it off for the Masters? They do it by insisting that their event be treated as special, so that it stands head and shoulders above the crowd. And ESPN responded, providing great coverage worth watching. No scrolling scoreboards. No cross-marketing and cross-branding. Just the sport. If cable networks cannot do this consistently, not only have they robbed non-cable homes of the events, they are robbing their cable viewers who are paying the high fees that the ESPN family of networks demands from operators. An editorial decision to shift gears. The original topic for Part III will be addressed.